Federal Medicaid rules grant states flexibility to design their own benefit packages beyond meeting core federal requirements. The Kaiser Family Foundation recently surveyed Medicaid directors in all 50 states and the District of Columbia to identify those benefits covered for categorically needy traditional adult beneficiaries in their fee-for-service programs. Their updated Medicaid Benefits Database includes data about the various benefits covered in states, notable limits on those benefits, and cost sharing requirements as of July 1, 2018. Data from previous years (generally 2012 and earlier) is also accessible. Also available for the first time is another database that includes data on Medicaid coverage of a range of behavioral health services, by state, at KFF’s Medicaid Behavioral Health Services Database. The databases should be useful for Medicaid officials, researchers, patient advocates and journalists trying to understand the variation across states in Medicaid benefits such as dental coverage, private duty nursing services and treatment for opioid addiction. 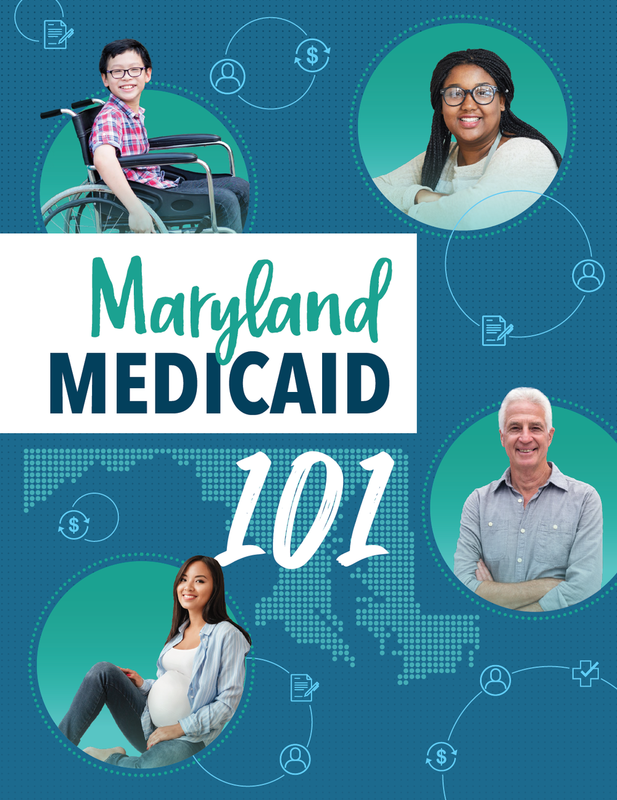 156,963 - the number of Marylanders who enrolled in private health coverage that is effective on January 1, 2019. A few hundred more whose applications were in process at midnight December 15 will bring the total above 157,000! 5,432 - the number who enrolled on the last day (December 15), and this despite the uncertainty on the future of the ACA created by the decision of the Texas Judge the night before. In fact, this was the highest single-day enrollment in the exchange's history. 38,558 - the number of consumers who used the "Enroll MHC" mobile app on Friday and Saturday. That doubled the number who used the app in the same period in 2017. 4% - the increase over last year in young adult (18-34) enrollees. 28% - the largest increase in enrollments was in Wicomico County. Somewhat troubling is the fact that new enrollees were down by 10% from 2018. This and other factors that could impact the stability of the individual insurance market will be on Consumer Health First's agenda in 2019. But, for now, our thanks go the MHBE Board, Michele Eberle and her terrific team, and all those who staff Maryland's Connector Entities and others who provide such vital assistance to consumers. Congratulations and happy holidays to one and all! So here we are. On Friday night, Texas federal Judge Reed O’Connor ruled the ACA unconstitutional because the individual mandate was no longer being enforced. Once again, millions of Americans are being threatened with the loss of affordable health care. CA Attorney General Xavier Becerra denounced the ruling and is leading the appeal process. Maryland’s Attorney General, Brian Frosh is also entering the fray and vows to defend the law. Hordes of trade groups, including the American Medical Association, are stunned by the decision. Legal experts on both sides of the political divide have expressed surprise at the ruling and have said the legal rationale behind the ruling is “indefensible, and breaks a long standing legal principle of not throwing the baby out with the bathwater by tossing out an entire law because of one small piece of it, as discussed in the New York Times this weekend. It would remove oversight of the FDA approval for biosimilar drugs. It puts the future of the CMS Innovation Center, which is working to shift the entire healthcare system towards new payment models in doubt. Maryland is a high profile model in the program. It would invalidate the Medicaid expansions, throwing millions of Americans off Medicaid, and would also invalidate Medicaid coverage for children aging out of foster care, expansion of Medicaid community care options for long-term services, and simplification of Medicaid eligibility. It could affect the Indian Health Service which was resurrected under the ACA, as well as a database which scrutinizes payments to doctors from big Pharma and device companies. This will almost certainly go to the Supreme Court. In the meantime, the law is still in effect, and will be through 2019.